Please contact us if you are interested in purchasing this website. As a child, she dreamed of being a school teacher. Now, at 25, Christine Rivera is teaching every day in the kitchen that she runs at Galaxy Taco, an acclaimed modern Mexican eatery in La Jolla, a seaside community of San Diego, CA. Her official title is chef de cuisine, but you also could call her the “Maven of Masa.” Galaxy Taco, at barely a year old, is on a shortlist of spots in the nation with high-reaching tortilla programs, and Rivera is hoping to educate diners about quality tortilla-making so the craft becomes valued and appreciated in the same way as artisanal bread-baking. General Mills Granted A Design Patent On A Tortilla Bowl Because Why Even Pretend Anymore? General Mills Inc. has received a patent for a bowl-shaped tortilla. It’s just a single patent and probably not a big item for General Mills (NYSE: GIS), but the concept of a tortilla bowl seems so simple that it’s interesting the Golden Valley-based food giant sought and received the patent. Dorothy Gil Cruz joined her loving husband Gilbert L. Cruz, parents and her sister on February 5, 2013. She was born in Fresno on April 23, 1936 to Marcelina Gil and Song Singh. She was one of three children. She shared her childhood with sisters Minnie Gil and Elsie Gil. She is survived by her sons Kirk G Cruz and Criss K Cruz, one grandson Cristopher Gilbert Cruz all of Clovis. Mi Rancho Tortillas was established in 1948 by Fred and Rose Canales. In 1956 after serving in the Korean War, Gilbert and his 2 brothers decided to go into a partnership with their stepfather by purchasing Mi~Rancho Tortillas. The partnership of Cruz and Robles successfully continued for 16 years. And in 1979, Dorothy and Gilbert Cruz purchased Mi~Rancho creating the husband and wife partnership and operated Mi~Rancho for 24 years. It was their vision to help reshape and educate the valley that they grew up in. They believed that Hispanic products were versatile and could be used in the ever expanding and open market. So, In 1980 Dorothy decided to create healthier tamales by eliminating the use of lard and using vegetable oil. Dorothy and Gilbert’s continual success at tortillas manufacturers’ allowed them to expand the manufacturing plant in 2001. Both Dorothy and Gilbert served as members of the Fresno’s Latino Peace Officers assoc. and Dorothy served as a chairman for the Sequoia Health Clinic, which assisted the lower income families in the Fresno County area. In 2011, Dorothy was inducted with distinguished honors into the Hall of Fame by the Tortilla Industry Association (TIA) for being in the Tortilla industry for over 65 years along with her stellar dedication to the Tortilla industry. Among her love for the City of Clovis and her travels all over the world, she just genuinely took great pleasure in meeting new people and making new friends. On behalf of Mi~Rancho Tortillas, we are honored to continue her legacy. We thank you, for believing in us. A celebration mass will be held on February 22, 2013 at Our Lady of Mt. Carmel, 816 Pottle Ave Fresno Ca, at 10:00 a.m. and Immediately following the mass there will be a reception held at the Clovis Memorial Building at 808 4th Street Clovis Ca. To help understand pH and equilibrium imagine two lakes. The lake on the left is alkaline and the lake on the right is acidic. An underground tunnel or cave connects the two lakes. If the level in the alkaline lake is higher than the acidic lake, some of the water flows through the cave into the acidic lake. Eventually the levels of the lakes are equal or at equilibrium. In a similar manner the amounts of the alkaline and acidic ingredients in a tortilla will reach equilibrium , which is the final pH of the product. The time to reach the final pH, i.e. the size of the tunnel, is determined by the solubility and reaction rates of the acids and bases in the tortilla. To make great tortillas we need to regulate the amounts and types of alkaline and acidic ingredients. The impact on pH of common ingredients is indicated in Table 1. The strength of many acidic or alkaline ingredients is known but those ingredients with an asterisk (*) have variable strengths or impacts on pH. Table 1: Impact on pH of common tortilla ingredients. * Neutral ingredient but will buffer tortillas causing the tortilla pH to rise. The alkaline compound in flour tortillas is almost always sodium bicarbonate. All acids react with (neutralize) sodium bicarbonate, form carbon dioxide and lower the pH of the dough. Acids commonly used in flour tortillas include fumaric acid, citric acid, sodium aluminum sulfate (SAS), sodium acid pyrophosphate (SAPP), sodium aluminum phosphate (SALP), and monocalcium phosphate (MCP). Acids less commonly used include ascorbic acid, malic acid, adipic acid, sorbic acid, and propionic acid. Citric acid is soluble in water and reaches an equilibrium pH in the mixer. This expends most of the sodium bicarbonate in the mixer and little remains for leavening in the oven. This is undesirable for flour tortillas. When using acids that are less soluble in water, like SAS or fumaric acid, reaction rate is lower and it may take several hours or days for the tortilla to reach equilibrium pH. Tortilla Manufacturers often ask how to measure the pH of flour tortillas. The principal of equilibrium that was just explained is often over looked. Tortilla Manufacturers who measure the pH of the dough are surprised when the baked tortilla has a different pH. Try measuring the pH at three stages during production: (1) after the dough is mixed, (2) immediately after the tortilla is baked and cooled, and (3) after 24 hours in a package at room temperature. Often the pH of the tortilla decreases a small amount (0.1-0.3 pH units) during the first 24 hours after production. Records of pH for each formula will provide a basis as to when the pH should be measured and their acceptable values. By having these records, production managers will know if the pH of dough is appropriate or what the pH of the tortilla will be in 24 hours. a Leavening acids are used to neutralize sodium bicarbonate in chemically leavened baked breads. c SALP = Sodium Aluminum Phosphate. d SAS = Sodium Aluminum Sulfate. g SAPP-28 = Sodium Acid Pyrophosphate with reaction rate of 28. Adams, J.L. and R.D. Waniska, Effects of amount and solubility of leavening compounds on flour tortilla characteristics. Cereal foods world, 2002. 47(2): p. 60, 62-64. The following is a practical and economical method that can be used in the tortilla factory. A laboratory oven is suitable for this application and should be able to dry several samples at once. This minimizes the time needed per sample analysis versus using a moisture balance, which can only dry one sample at a time. 1. Weigh a small glass or metal container. 2. Weigh 10 g of the tortilla ground in a coffee grinder into the container. 3. Dry the sample for 24 hours in a 105-110°C oven. Wd = weight of the sample after drying. Tortilla Tips: What is a good pH for Tortillas? The pH of tortillas not only affects their shelf life, but also affects their quality. The best pH for flour tortillas is from 5.2 to 6.2. Tortillas outside of this range will either spoil very quickly (above 6.2) or have an acidic taste (below 5.2). Flour tortillas with a higher pH will tend to have better flavor, aroma and appearance. As the pH is reduced to increase activity of preservatives and extend the shelf life of flour tortillas, these attributes are lost. It is important to monitor tortilla pH to achieve the code date and to have a product people want to eat. The optimum pH for flour tortillas is around 5.8 with an acceptable range of pH 5.6 – 6.0 to achieve most shelf life requirements and have a good quality tortilla. The best pH for corn tortillas depends upon the tortilla type. Table corn tortillas generally have high moisture content and require the lowest pH, that is, between 4.8 and 5.2. 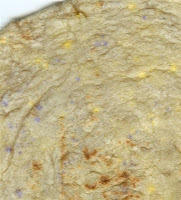 Low-moisture corn tortillas used in frying applications should have a pH from 5.2 to 5.5, if used over several weeks after production. 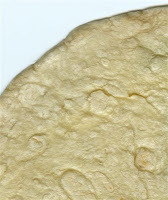 High-lime corn tortillas should have a pH between 10 to 10.5. The tortilla pH can fluctuate up or down about 0.1 units without too much concern. When the tortilla pH fluctuates 0.2 units up or down, you should be concerned and start trouble shooting the problem. Changes in pH are usually caused by the ingredients (including water). Some Tortilla Factories treat their water with a water softener to get more consistent and superior quality tortillas in areas where water hardness and high pH are problems. Monitoring water quality, especially if you are treating the water, should be part of the QC program. Water hardness can be easily measured with conductivity or total dissolved solids (TDS) meters. The pH of water is also fairly simple to measure with a pH meter. These measurements should be recorded regularly in the laboratory notebook. This record will give you guidance as to whether water pH or hardness is negatively affecting your tortilla quality. Generally accepted guidelines for water hardness are in the following table. *ppm equals parts per million, which for water hardness is milligrams of calcium carbonate equivalents per kilogram of water. Pyler, E.J., Baking Science Technology. 3rd. ed. Vol. 1. 1988, Kansas City: Sosland Publishing.